In the heart of the sleeping city lies incredible wealth. While the gates to the city are well guarded, no one is watching what’s under their feet. The dead of night provides just enough cover for you to tunnel towards untold riches to plunder the city from within. Act quickly, as a rival thief has the same plan. 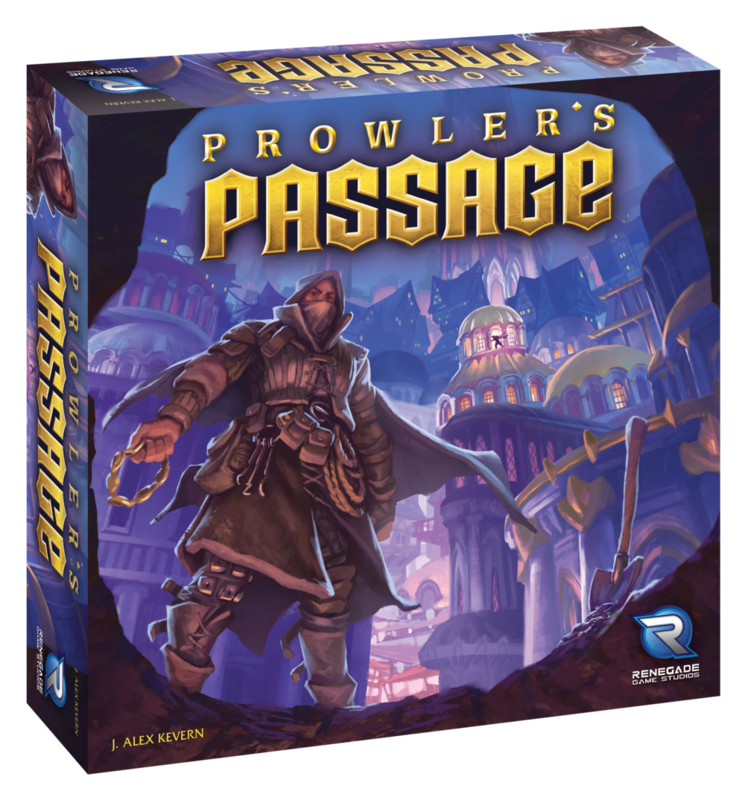 In Prowler’s Passage, you and a competing thief will burrow into the city through a network of underground passages to grab valuable items while attempting to gain control of key districts. Steal the best items, create the longest tunnels, and control districts to become the premier prowler! "I think this is my favorite of Kevern's games that I've played."